For millions of us devotees around the world, Bhagawan Sri Sathya Sai Baba is the personification of the Supreme Godhead. We adore Him, worship Him and pray to Him in times of joy as well as sorrow. He is our friend and philosopher, a guru and guide, the Avatar and the Atman. Though He left the physical form on the 24th of April 2011, He continues to be a living presence in our lives through His legacy. The Legacy is that of Divine Love which expresses itself through His words and His works. When He was physically in our midst, we yearned and craved for opportunities to serve Him directly or at least indirectly. We undertook great troubles and spent lots of time, money and energy to be near Him and grow dear to Him. Now that the physical form is no longer with us, the only way we can serve Him is by being participants in His legacy - His words and His works. Swami has said many times that His life is His message. Today, His message has become His life - He lives on through His message. It is with the desire of being active participants in preserving and continuing one part of His legacy - His Words - that we, members at Radio Sai Global Harmony, put our heads and hearts together to come up with a roadmap for the way ahead. 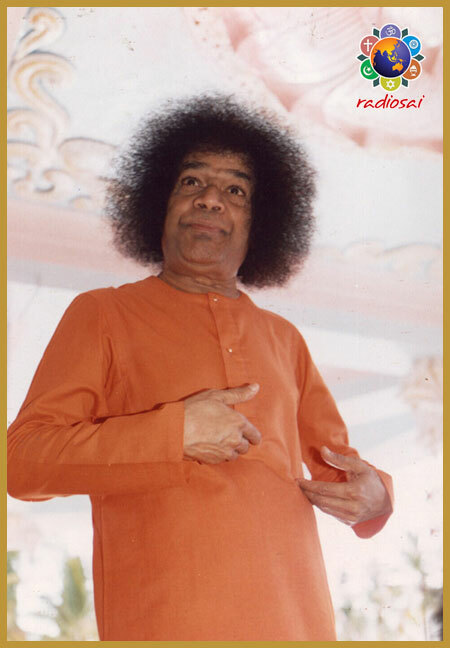 One major milestone in this regard was the commissioning of the Sri Sathya Sai Archives to protect and store forever the precious documents, letters, notes and diaries of Bhagawan along with audio and visual media related to Him. The best people, latest technologies and finest techniques were used to preserve these. Getting to know about the archival efforts, people from all around the globe came forward to share bits of these treasures - letters, photos, videos, audios - which they had personally archived and treasured so far. There is no doubt that all of us wish to continue the legacy that Swami has entrusted us with. But what is the best way to do it? This is a question that we must keep asking ourselves. Swami Himself answered this in a very symbolic manner through an unforgettable dream which I had on the 20th February 2017. Interestingly, Swami gifted the dream exactly at the end of a 2-day international workshop that had been hosted by Radio Sai in Prasanthi Nilayam. “Swami was seated on a chair and He was holding an archival document of great significance in His lap. Even as I saw it, my mind was thinking of His writings in thousands of pages that had been discovered in His room at the backstage of the Poornachandra Auditorium. Swami finished reading it and then, He turned the paper to show it to me. I was shocked to see that most of the writing on the page was fading away! I felt very bad that the Divine Writing had not been preserved and was wondering on how to revive and preserve it. Swami smiled and said that He would show me the perfect way in which the writings had to be archived. I got excited. Who better than Swami Himself to teach us the best way to preserve His legacy? Then, to my utter horror, Swami crumpled the already-aged piece of paper in His hand. “You should ‘consume’ and ‘digest’ it in order to archive it properly!" I woke up with a thrill in my heart. Swami had made it so clear that the best way to preserve and further His words was via ‘Consuming and Digesting’, ‘Being and Doing’ - through ‘Mananam and Nidhidhyasanam (Contemplation and Practice)’. A lad was given a bag to carry with him as he set out on a long journey by foot. He estimated that he would reach his destination only by sunset. He decided that he would walk continuously without resting so that he could reach his goal as soon as possible. He set out in right earnest, before the sun rose. He walked briskly and covered the first few miles at a frantic pace. However, as the sun came up, he began to tire. The bag that he carried on his shoulders seemed to grow heavier every passing minute. Finally, unable to walk any further, he decided to rest for a while. As he sat in the cool shade of a tree, he wondered what the bag contained. Opening it, he found the most delicious food and refreshing juice to drink. He was delighted, and his tired break soon became a refreshing picnic! He ate to his stomach’s content, slaked his thirst and proceeded on his journey full of energy. The bag was now empty, and thus was no longer a burden. By sunset, the lad reached his destination, safe and sound. That seems like a pretty ordinary story till we realize its metaphorical implications. 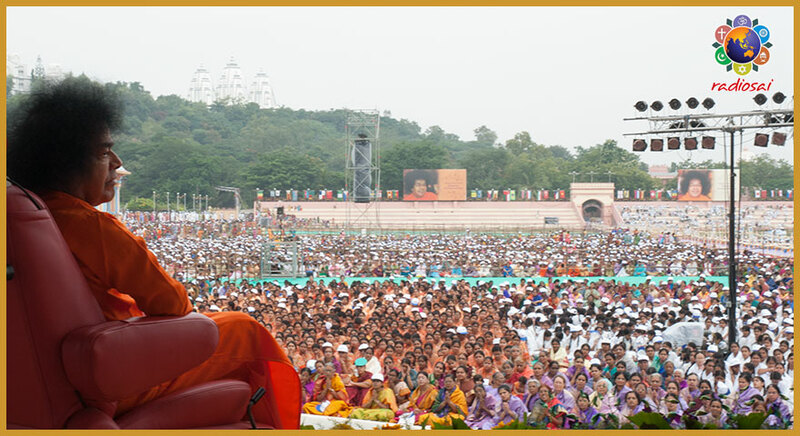 As Swami’s devotees, we have set out in our respective life-journeys carrying the formidable onus of His legacy. If only we ‘See Always Inside (SAI)’, we will realize that the bag of His legacy is not a 'burden' but a source of ‘Strength And Inspiration (SAI)’. For that, we need to take a break and spend time in ‘chewing and digesting’ the contents of the bag! This is one of the most popular quotes by Bhagawan that we keep repeating to ourselves. We understand it to mean that if we look at Swami’s life, we will understand what His message is. But when A = B, B = A also holds true. So also, the reverse of the above statement - My Message is My Life - also holds true. This means that Swami’s Life is present in His Message. And He will Live as long as His Message lives on! If we love and sincerely care for Swami, we need to sincerely care for His Message as well. And we can do that by internalising it and implementing it in our lives. That’s how we preserve His legacy - by living it; by being it! If you wish to start ‘consuming’ immediately to ‘strengthen’ and ‘nourish’ yourself, the banquet has been laid out in text form at the Sri Sathya Sai Books and Publications site and in audio form at the Sri Sathya Sai Speaks site. What are your impressions about this? Please share your feedback by writing to [email protected] or [email protected] . Do not forget to mention your name and country please.